It’s time to dust off your shelves and polish up your racks: Abra Dunsby rounds up the highlights from the operators launching new brochures for 2019. What’s new in your River Cruising 2019 brochure? Itineraries such as hosted departures in Vietnam, France and Myanmar with celebrity chef Luke Nguyen, new Signature Experiences in Europe, and more capacity on key rivers. What’s your one to watch for 2019? To cater to demand for our Balkans cruising – a sell-out destination in 2018 – we’ve added two departures in this brochure for the popular lower Danube cruise, the 15-day Voyage Through the Balkans-Budapest return. I think this will continue to prove a strong seller for 2019. What’s new in your 2019 programme? We’ve expanded our collection of rail escorted holidays to include eight new itineraries in the UK and Europe, added product in the Italian lakes and included a new itinerary combining rail travel to some of Europe’s great capital cities with a cruise on the Danube. And for clients seeking something different? Clients who enjoy an escorted holiday by rail may also be tempted by river cruising. Working with the ships offered by The River Cruise Line, we offer itineraries that combine the two and offer a wonderful opportunity for clients to have a taste of river cruising. We’re introducing new cruising ranges for our proof-of-concept vessel, starting in March with short breaks exploring the Somme and Artois, leading on to the Canal de St Quentin and then into champagne country. We then follow the Marne into Paris and head upstream on the Seine and Yonne to spend the summer on the rivers and canals of northern Burgundy. Auxerre to Clamecy – we’ll be covering the route for 18 weeks between May and October 2019. Our new Explorations product line is a highlight, with more active and engaging tour experiences. Destinations include Finland, Colombia, Peru, Galapagos and South Africa. What do agents need to book early to secure the best rates and availability? We have up to £500pp savings and a £68.50 low deposit. Booking early ensures a choice of guaranteed tour dates for the customer. We have a new ship on the Douro, MS Amalia Rodrigues, as well as new itineraries on the Seine, the Dutch Waterways, the Rhine and the Danube. We’ve also expanded our range of cycling, hiking and foodbased cruises. What destination is your predicted best seller for next year? The Douro will be the biggest seller but other popular destinations will include the usual favourites on the Rhine and Danube, as well as our Croatia coastal cruise programme and our growing French canal barge product, which is a fantastic way to dive deeper into French culture. New tours to Montenegro, the Lake District, a specialist narrowgauge rail tour through Bohemia and Lower Austria, and a tramway tour of Romania. Is there an accommodation highlight? Staying in a traditional Japanese onsen when visiting Kinugawa Onsen during the Japan – Trains, Trams & Cherry Blossom tour in March 2019. We have added shorter duration cruises to Balmoral from the North, serving Edinburgh (Rosyth) and Newcastle. We’re introducing 12-person powerboats across our ocean fleet, taking guests off the tourist trail. Two RIBs are available on Boudicca and Black Watch, and Balmoral and Braemar will have them before the end of the year. We’ve added new accommodation to our India and Sri Lanka brochure and to our South Africa, Botswana and Mauritius brochure, plus a variety of new trips to our Cultural Tours and Music Holidays brochure. I expect Russia to return to the top of many people’s wish lists after a sunny World Cup shone a spotlight on the country. We have a new exclusive hotel in Thailand called Marina Phuket with private access to the beach, a new Maldivian Exclusive to Kuoni island called Sandies Bathala – which is ideal for families looking for affordable luxury – and our Cuba offering has been revamped, featuring Havana and Varadero. Keyonna Beach in Antigua (a hotel exclusive to Kuoni) is an all-inclusive four-star boutique that books up early. As part of the 2019 Worldwide programme, we’ve launched six new trips – two luxury journeys in Russia, an autumn escape to New England, a journey through America’s Pacific Northwest and two new Britain and Ireland itineraries. What changes have been made to the Chairman’s Collection? We’ve added two new Chairman’s Collection experiences in 2019, one in Nashville where we meet Hall of Fame musician Charlie McCoy, and another in Whistler with Olympic skier Rob Boyd. We’ve introduced nine new escorted tours and three new walking tours to our Escorted Tours 2018-19 programme, as well as two new destinations – Oman and Santorini – to our European and Worldwide Holidays programme. What’s your personal favourite from the programme? Santorini – I’m always in awe of the dramatic scenery matched by the splendid resorts. Prices can be high, but our choice of three-star properties allows customers to have affordable comfort in a wonderful setting. Gold island-hopping, and we have 19 new Gold properties. Increased presence on the road with new marketing materials available via our web portal and business development managers. We’ve launched four new destinations into our Faraway brochure for 2019: Qatar, Ras Al Khaimah, Colombo and Koh Kood. We’ve also introduced six new tours and excursions across our key destinations. What’s your personal favourite experience? We’ve introduced an all-spa inclusive resort in Koh Samui, offering unlimited spa treatments for the duration of your stay. It’s Thailand’s first resort to include this unique offering and is a massive selling point. For the Canaries Islands, we’ve added Fuerteventura for winter 2018-19, featuring five handpicked hotels, and expanded our Tenerife offering. We’ve also introduced a new Madeira and the Algarve brochure. Plus, we’re working on an expanded offering with our Lake Garda and Sicily, Croatia, UK Closer to Home and Escorted Tours brochures. What changes have you made to the accommodation offering? As a specialist tour operator, we’ve endeavoured to widen the selection available, rather than featuring only four and five-star hotels. We’ve introduced more authentic – in many cases family-run – chic and unique-style properties. There are 15 new escorted tours including new destinations such as Borneo and the Amazon, Cuba, Antarctica, Alaska and Morocco. The new brochure also features flight-inclusive prices for the first time. What are some of the standout experiences the brochure offers? Travelling the Grand Canyon Railway and experiencing a “train robbery”, travelling across western America by private jet or joining in the Holi festival in Delhi, India. A new national parks holiday in North America, a journey along the Cape Cod coastline and two weeks through Alaska and the Yukon. We’ve also added five itineraries to our Asia programme, plus special festival departures in India and Japan. And we’ve launched our very first Africa programme. Autumn is breathtaking in the New England area, and these seasonal trips fill up quickly. We offer early payment discounts across all our programmes, with savings available until February 28, 2019. In Europe, we’re launching three new itineraries along the Danube, Main, Rhine and Moselle, and transforming and unveiling our newest Super Ship, SS Bon Voyage, in spring 2019. We’re also introducing a new ship on the Yangtze river in 2019, the Sanctuary Yangzi Explorer. What can clients expect from the new ships? Bon Voyage will be inspired by the renowned wine and gastronomic expertise of the Bordeaux region, from the design on the ship’s bow to the enhanced culinary opportunities onboard. Woven through the whole itinerary, guests will also enjoy new dining excursions offshore, dining out at local restaurants and taking in the surroundings of the Bordeaux region. We’ve introduced four new touring holidays in south-east Asia, eight new holidays in India and two in China. Indonesia. There’s so much to see here and our new 16-day tour, Incredible Indonesia, includes everything a first-timer would wish to take in. Do you want to sell cruise but don’t know where to start? Are you keen to grab a slice of the most exciting sector in travel? 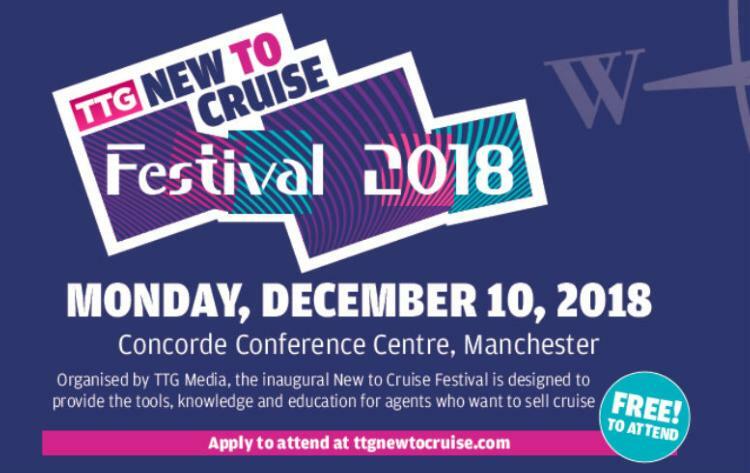 Join the TTG New to Cruise Festival, aimed at new to cruise agents, providing them with the tools, education, knowledge and inspiration to start selling and marketing cruise holidays. Apply for a place today.